Hello! My name is Amy and my goal is to help those who seek help with the bumps they encounter in life. No judgement! I have a M.Ed in Counseling, a MA in Humanities, and a BA in English. I was a certified teacher for 13 years and now hold a LPC and NCC. I use CBT, narrative therapy, and mindfulness in my therapy approach. My specialties include tweens & teens, adoption, LGBTQ, and life transitions. I am an adoptive mom as well as a biological mom and I am passionate about adoption. I support the LGBTQ community and advocate for human rights and civil rights for all. I also love animals and my rescue dog Betty is my best friend! We are not our problems! In session we explore how Anxiety interferes with a client’s life. We focus on autobiographical information and how chapters in life are processed. By reframing the past, we see our strengths and our talents that may have been overlooked. And a new chapter is ready to be written! Being mindful is so important to every day living. We explore how one feels — what he/she sees, feels, hears, tastes, smells — today, right here and now, and how living in the moment makes a difference in one’s life and one’s perspective. How you think has a profound impact on your feelings and your actions. I explore thoughts, feelings, and actions and “flipping the script” to change the negative to the positive. 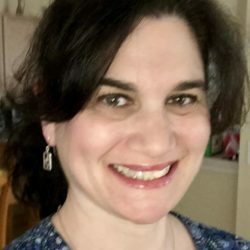 An adoptive mom with over 10 years of professional experience as an adoption caseworker for a nonprofit adoption agency, I work with birth parents, adoptive parents, and adoptees and help each explore identity issues, relationship concerns, and reunification. Open adoption, closed adoption, private adoption, foster care — we explore the issues that clients have when they walk through my door. We live in a fast paced society that often induces anxiety in those who are sensitive and feeling. I help clients who struggle with anxiety by teaching them how to control the symptoms and discover where the anxiety originates. Processing those feelings helps clients move forward. I help clients who may be struggling with gender/body dysmorphia, who want to transition, who need help with relationships, or who struggle with identity issues.